The corporation has decided to induct mini-buses to act as feeder to the metro rail, before the metro becomes operational. With the use of mini-buses, the BMTC would be able to connect small lanes and bylanes to the metro, said director, Projects, BMTC, PK Garg. “We are planning to procure 100 buses to start with. These mini-buses will be low-floor and air-conditioned,’’ he added. “The induction of buses would require not more than two months, however zeroing in on the right choice for buses, including the trial run to obtain feedback from the public, would require some additional work. Moreover, the buses that fulfil these requirements are not currently available in the Indian market therefore, BMTC will have to place special orders for which we need to be clear about our demands,” Garg explained. Many companies, including Volvo that supplies airconditioned low-floorers (not mini buses) to the BMTC, have already approached the corporation, he added. A traffic study needs to be done to find out the expected volume of traffic, requirement for buses, available road space and condition of roads. A single ticketing system for metro rail, BMTC and KSRTC has also been planned. A smart-cardbased system is most likely to be finalised, said a source in the government. 1) Why aren't they talking of linking up with BIG-10 services to provide for last mile connectivity, right now, rather than talk about linkages to METRO (which has a few years to go)? 2) Can't a/c buses come at a later stage? 3) The single ticketing system was talked about even by Delhi METRO - ultimately to be abandoned. Why complicate matters when you have difficulty handling even simple matters? Mini buses will be needed in extremely narrow roads (less than 30 ft in width) like in the older pete areas around majestic. So the mini buses is very much dependent on the routes. I absolutely agree, there is no need to be hasty with minibuses. More than traffic survey there is a requirement of reach that needs to be defined first. Map the areas where coverage needs to be provided. Last thing to consider is the width of the roads that the bus will go through and then choose the type of bus. Smart or not, integrated pass across all forms of transport is absolutely necessary. 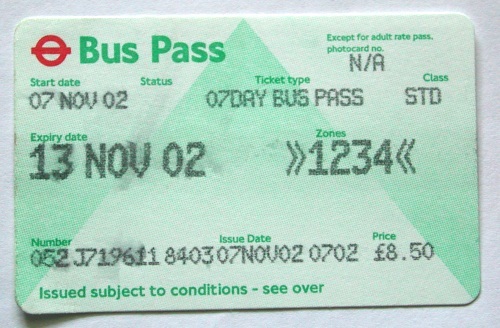 One has to be able to use a pass in the bus, metro and commuter trains also. Distance (zones) and time based tickets should be introduced along with existing trip based ones. The proof is in the pudding, see how the KSRTC & BMTC integrated pass took off recently. There are disposable smart cards in some countries with expiry printed on the face of the card and a magnetic strip on the other side, so even if there is no reader a visual check can be made by the conductor and in the metro it can be swiped. It can be discarded on expiry. Mini bus OK but empty Volvo big buses yaake? If empty running lengthy big buses like Volvo/Big10 etc., can be stopped/ replaced / reduced from plying on the chaotic roads, Mini buses could be a solution to reduce space gurgling huge contraptions that are running empty. While there is lot of talk about connecting Metro stations of the future, why not make trials by connecting the existing Railway stations (City, Cantt., K R.Puram, Yeshwantpur etc.)? Anybody still believes BMTC can deliver?